On my walk back up the slight hill from block 84, lot 27, where Mary, Louis, and Richard Flanagan are buried under that beautiful tree, to block 82, lot 3, where Pat and Kate are buried, I came upon an Ezettie headstone. 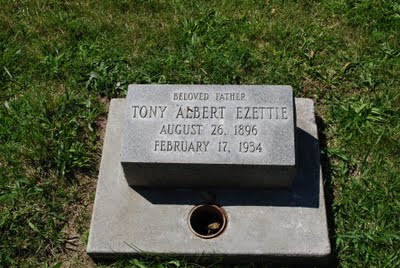 I had to photograph that and wonder if Tony Albert Ezettie was any relation to my grandfather's friend, Louis Ezettie. Louis gave my grandfather one of his two Winchester Shotguns. 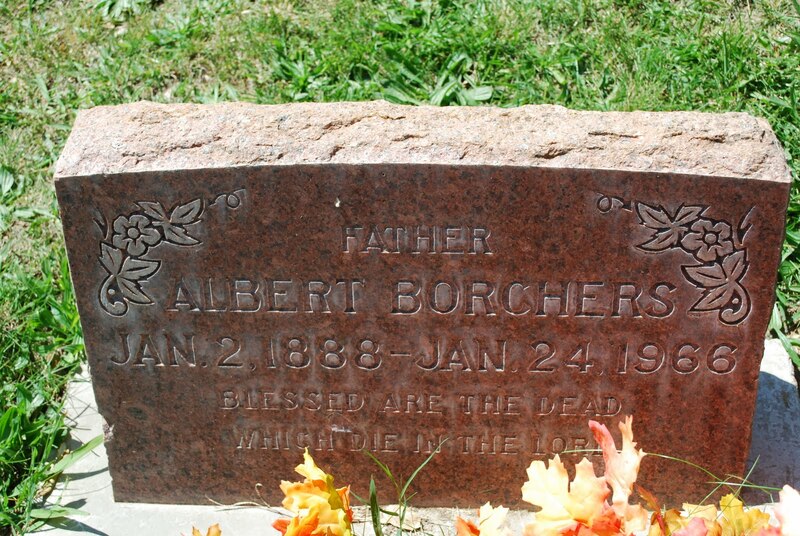 As I continued my walk around block 82, I found two Borchers headstones. It did not really surprise me to find Borchers' buried at Tulocay but rather interesting that so many people that seem familiar are buried so close to Pat and Kate Flanagan. 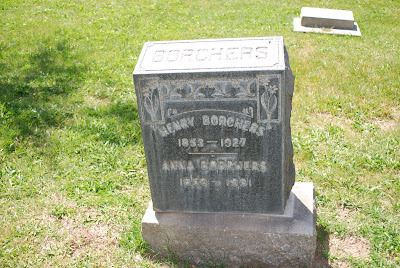 Henry Borchers (1853-1927) and Anna Borchers (1859-1931) are very likely relatives of mine along with the other headstone for Albert Borchers (1888-1966). 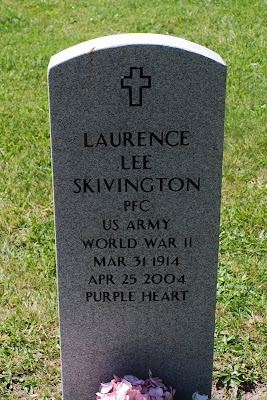 There were some silk flowers at his headstone. 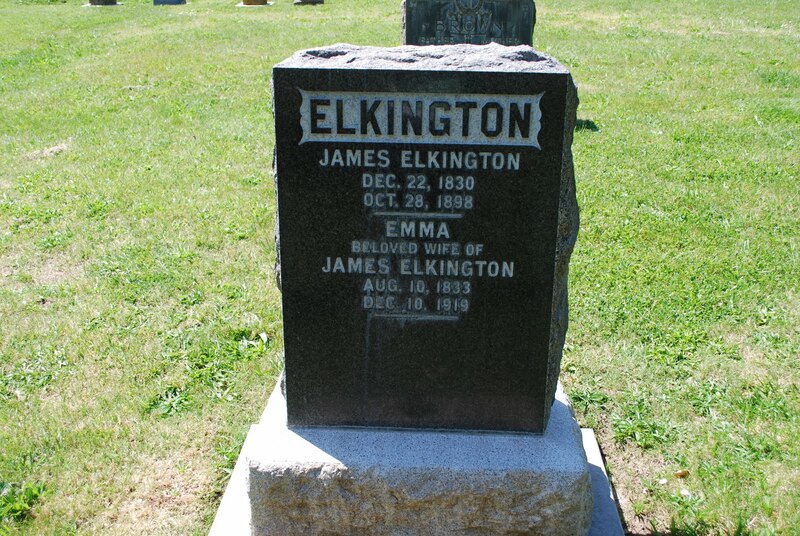 They did not look all that weathered either. I have not completely familiarized myself my Borchers family tree. 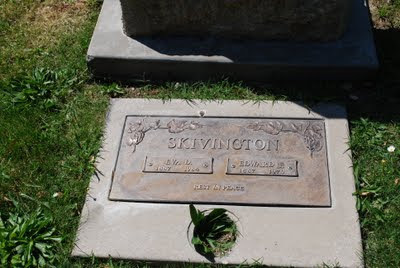 I do have some pretty reliable information from my aunt and uncle, who are Borchers, that have blazed an exact, sourced family tree. So what did I do next? 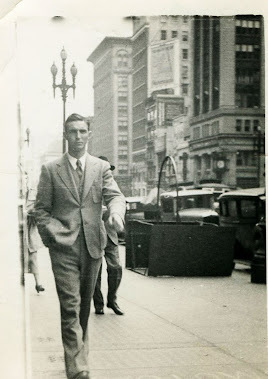 I peeked at my Borchers/Vienop family tree...........and found a huge discovery that rather took me aback. Yes, My great grandfather was Herbert Borchers, Sr. Henry and Anna's youngest son and Albert baby brother. 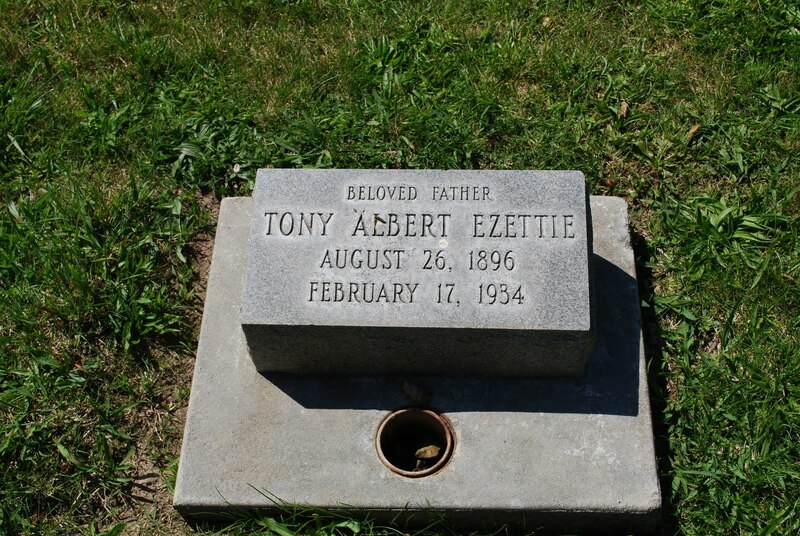 My mom has some vague memories of Uncle Albert. I'll have to have ask her more.